A lot of candidates have an interest in running for party’s 2016 US Presidential Elections. On the one hand the Republican Party; Ted Cruz, Senator from Texas; Rand Paul, Senator from Kentucky;Marco Rubio, Senator from Florida; Carly Fiorina, former chief executive of Hewlett-Packard; Well Carson, neurosurgeon of Detroit; Mike Huckabee, former Arkansas Governor and, perhaps, Jeb Bush, former Florida Governor. On the other hand, the Democratic Party; Hillary Clinton, and Benny Sanders, United States Senator. 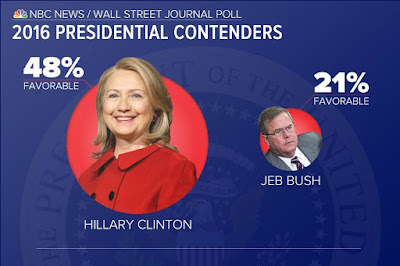 Although it is too early to discuss and everything will be played after the Convention of the summer 2016, many people have thought that after the announcement of the candidacy of Hillary Clinton for the primaries the vote will be a match between the leaders of the most famous US political dynasties, a duel Clinton versus Bush already experienced. Bill Clinton and George H.W. Bush challenged during the elections of 1992, won by the Democrat Clinton who became the youngest President in the History of the United States, then reconfirmed. Bush Senior had won the elections in 1988, after having been for eight years the vice-President of Reagan-predecessor. The weak economic growth from the recession of those years penalized Republicans which returned to power in 2000, with the victory of his son George W. Bush, who defeated Al Gore and was then re-elected for a second term despite those years were very difficult, marked by the attack at the Twin Towers, the official declaration of war from international terrorism to West, and the subsequent wars in Afghanistan and Iraq. 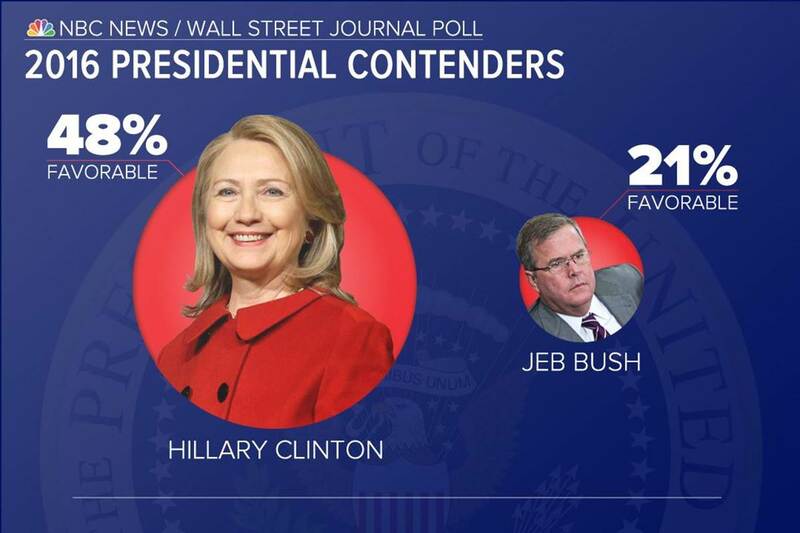 Jeb Bush is the second son of George Bush Sr., Governor of Florida from 1999 to 2007. In 2009, it outlined the hypothesis of the GOP, the Republican National Committee, in a possible race for the primary before the elections of 2012, but nomination did not take place. On the occasion of the re-election of Barack Obama, rumors in the corridors of American politics have swirled Jeb Bush would have taken in field. These voices have been confirmed by his candidacy, but it is heavy the legacy left by his family. On the other side, Hillary Clinton, former first lady of a President that has split the American public after his impeachment, former Senator of the State of New York and former Secretary of State runs to the White House, and after a black and Muslim President, she could be the first woman to lead the American power. The challenge could be consumed by foreign policy and internal affairs. Hillary Clinton has a Liberal vision of the international politics; she focuses on a greater American commitment in supporting the transition of dictatorial regimes to democracy, whereas Bush wants to restore the leading role of the United States in the world. It is certainly not easy to find a common thread between the politics of power relations and the balance of power of the father and interventionism of his brother. Both retain a position of appeasement toward Israel. Hillary does not enjoy popularity among the Hispanic electorate, unlike the Republicans who collect votes among Cubans and that could take position against the retirement of the embargo against Cuba. The administrative orders with which Obama has opened to the legalization of illegal immigrants, who work and be up to date with the tax, however, could reward the Democrats, although Bush does not hinder immigration, a phenomenon that he describes as an added value for the United States. The opening of the Obama administration towards gays does not have a positive feedback for a Catholic like Bush, but it could favour Hillary Clinton that attracts a high percentage of women and homosexuals. 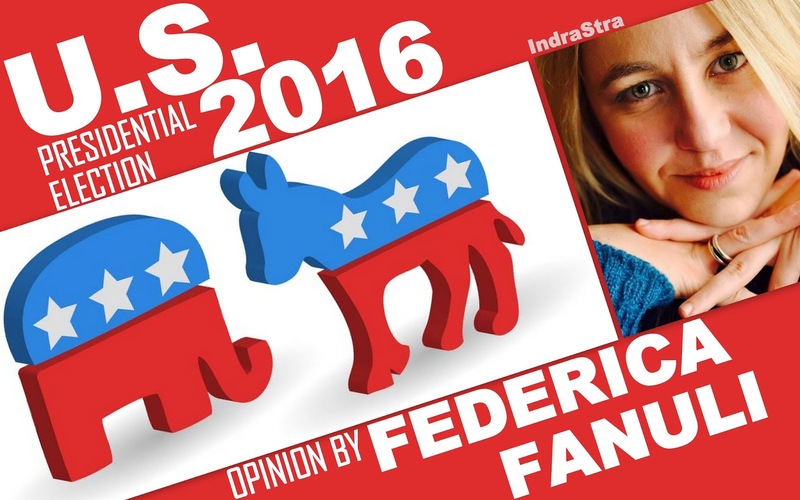 Undoubtedly Jeb Bush and Hillary Clinton are two leaders of the past, an old politics that marked the pages of American History, even if the rise of new and fresh political names could create difficult to the two giants of politics at stars and stripes.